Classic TV of the 50's and 60's had many "westerns" in the list, and one of the most popular and longest running season after season for millions of devoted fans was "Gunsmoke." The show was primarly a drama, and the crotchety charater "Doc Adams" portrayed by the late great Milburn Stone, was always a strong and sensible "healer" for everything from fevers to snakebites, horsekicks, stab wounds, arrows and bullet wounds, and yet he could also steal a scene with hilarious quips and sarcasms for comedic relief. "Doc Adams" was an iconic central character, playing in an outstanding ensemble with "Marshal Matt Dillion," Longbranch Saloon owner "Miss Kitty," and in later seasons the fidgety and fussy rough around the edges deputy "Festus Haggen" and in early years the lovable gangly, gaunt and good hearted "Chester Goode." 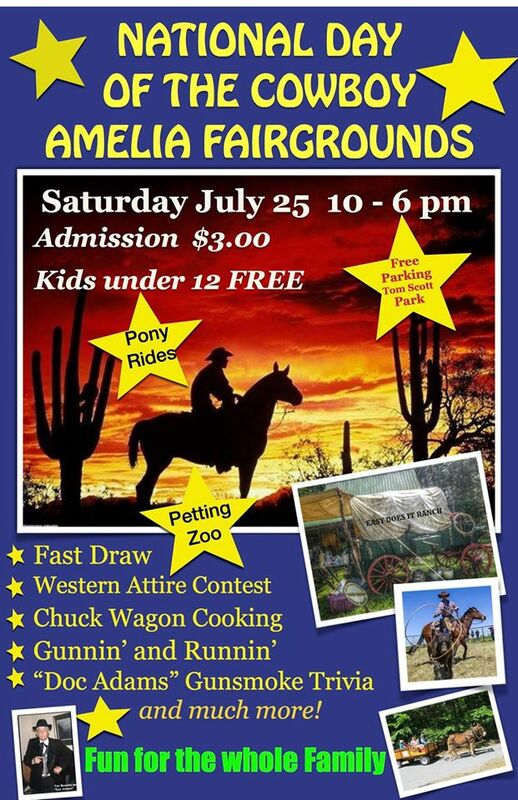 in Amelia, VA, on Saturday, July 25, 2015! Here's the YouTube videos - voicings for this event produced by Vegas Tributes on 5/1/15 as P.S.A., "public service announcements" radio commercials! Having a 60th Anniversary Celebration for "Gunsmoke?" 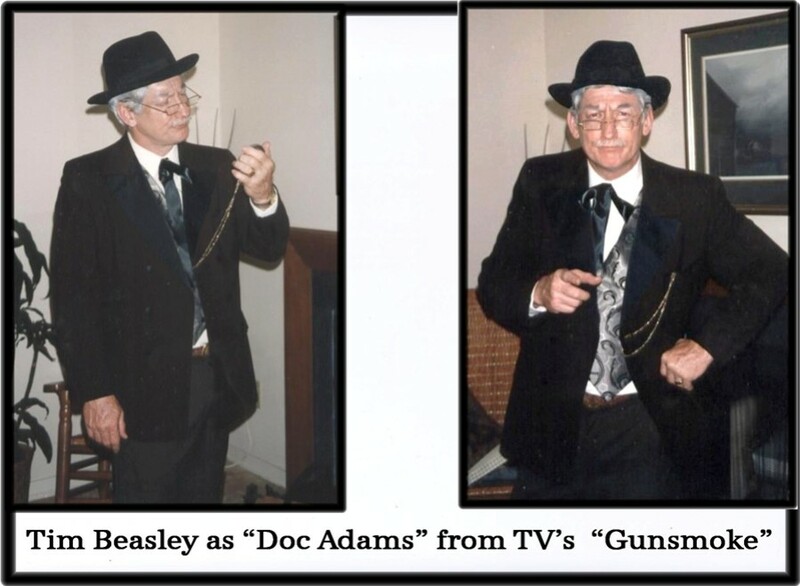 Our "Doc Adams" is quite the crowd pleaser, as underneath the old western sawbones exterior is career entertainer, Emcee, historical speaker and variety celebrity impersonator and impressionist, Tim Beasley. 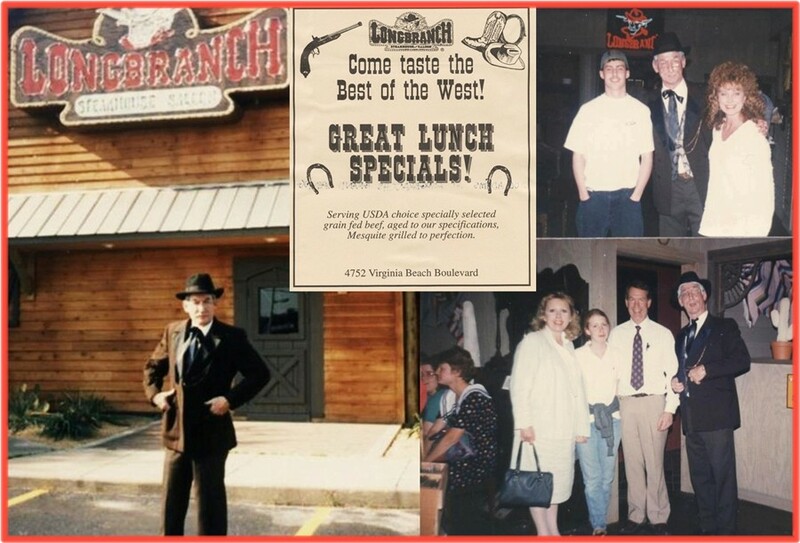 Tim has been licensed and insured for entertainment coast to coast since 1986! For the event above, Tim also did the radio commercials heralding the grand opening with his impressions of "Doc" and also "Festus" in a dialogue on the new location! 757-589-0903 Please call, we love to talk!...and you can text, too!